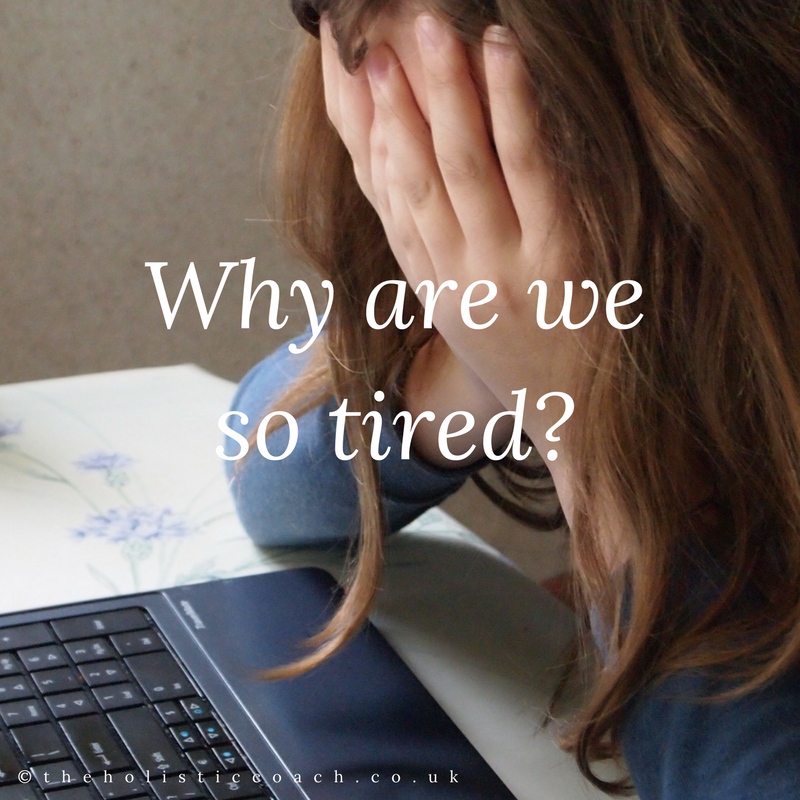 Home/Nutrition/Why Are We So Tired? As I write this is is just after 2pm in the afternoon and I am flagging a little, the day is dull and my daughter had me up several times in the night. However, dull November weather and parenting may not be the only reason why we are so tired because research shows that 1 in 5 visits to the Doctors is due to fatigue. Many, in fact most, of my clients state that they are tired and that having more energy is one of the wellbeing goals. Fatigue may be caused by so many factors from dietary, stress through to a medical condition so it is important to investigate this if you are feeling tired all of the time even after a ‘good’ sleep, whatever good sleep is to you personally. Here are some potential reasons why you are feeling tired. Low iron levels is more common in women and often connected to heavy periods. If your iron levels are low the fatigue is often accompanied with pale skin, heart palpitations, dizziness and a lack of appetite. If you suspect that you have low iron levels having a blood test will illustrate whether you are anaemic. Managing anaemia with supplements and diet is relatively simple, when needed I take the Solgar Easy Iron supplement or Spatone liquid Iron sachets. Iron rich foods such as dark greens, red meat and dried fruits eaten with foods high in vitamin C will aid your bodies absorption of iron. For some people an imbalance within the thyroid gland can cause constant tiredness. When your thyroid is out of balance every day activities can leave you totally wiped out. A persistently low mood can make you feel tired as it drains your energy and may make it difficult for you to sleep well at night. It maybe that you are not taking part in any physical activity due to the depression which is known for helping to releive mild depression. Anxiety is very draining and can make you feel irritable, tired and wired. Anxiety can make you feel very tired as your energy is being channeled into the constant energy of anxiety. It is important to visit your doctor for diagnostic testing and then if you need support to devise a treatment plan to boost your energy get in touch.